Database backup easily using DB SQL command, someone asked me to explain? Create a folder a directory. Before executing SQL command the cursor we need to specify the path in cursor. Below query will return a listing of all backup files in all databases on a SQL instance. Just Copy the above code and paste it in th Query Explorer and specify the path where you want to backup the databases and then Execute. It will automatically backups the databases into the specified Location. This cursor did it very smart. for me it saved lot of time. 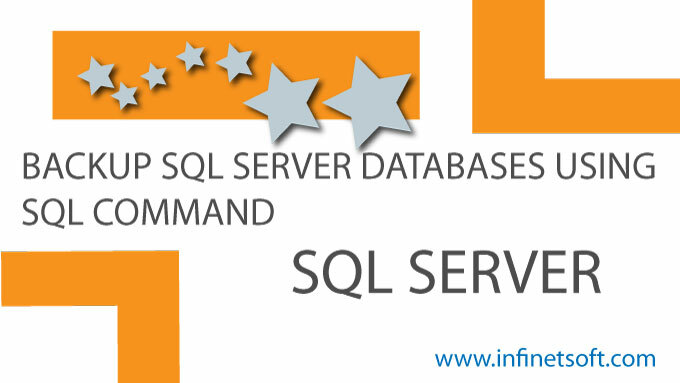 The video explains in detail about how to take backup all databases using SQL Command. How to bind data from database to chart control in asp.net? How to create 3 dimensional charts in asp.net?